Tonight is Hallowe’en and this is the third year we’ve been in this house to give out candy. In previous years when I was living in a condo or apartment, we almost always got zero kids. The past couple of years, we’ve average 12-15 kids but maybe 6 or 7 groups (multiple kids per group). So, it’s not a lot. It’s less than when I used to live in a rural area in Canada. And that’s weird because I live in a suburb with plenty of people around. So, when I go out and buy candy I try to ensure that I’ll have enough. But when kids come to the door, I have to do some mental math: How many kids will I get? And based upon that, what’s my candy run rate? That is, how much candy can I give out and be confident that I won’t run out for the rest? I want to be generous with candy. The first group that stopped by I gave them 4 candies each. They aren’t big candies but it’s enough for a kid. I said to the wife the next kid that comes down are getting a big handful of junk food. But then I think to myself “Oh, but what if Hallowe’en kids start coming in droves after I start handing out lots of candy?” And then I’m worried that I’ll run out and I’ll look stingy to the future kids. It’s currently 7:39 pm and we’ve only gotten one group of three kids so far. Will we get anymore? I want to hand out a lot of candy. Even now, I can hear them walking down the street, shouting and everything. Are they skipping our house on purpose? Well, I don’t want it. It’s too much sugar. It makes me fat and rots my teeth. I’ll eat dark chocolate and only occasionally. But the key to avoiding eating junk food is to not have it in the house. Who knew handing out candy could be so complicated? I like to read articles about time management and how to be more effective. I also read blog posts about people who have started businesses, and I regularly get marketed to by people who encourage me to start a business on the side to make more passive income. For example, one of the things I hear is to get up earlier, perhaps an hour or two. The benefits of this are that I could get so much more done. The problem with all of these time management promises is that they always promise me more time so that I can work more. That is, I should get up earlier so that I can get more work done than I do now. Or, I should start a business so that I can have more income and that will require me to work more. I’m not anxious to work more. I don’t think I work as hard as I could, or possibly even should, but the bottom line is that I don’t want to work more. I like having the free time to do what I want to do. I like to read, or watch Netflix, or bug my cat, or spend time with the wife, or go out with friends, and so forth. My job also has me working extra hours when I am on-call, and I check email at off-hours, too. The checking email doesn’t bother me, but being on-call does. Working more with a side-job would decrease my quality of life unless I enjoyed the work and didn’t see it as work (I don’t even practice magic as much as I should because I find practice – after a short while – tedious). I’m at a point right now that adding more money doesn’t add much to my overall happiness (short of being able to fly business or first class). But really, I prefer to have the time over the extra money. And getting up earlier to work more, or working an extra side job, eats into my more valuable activity – wasting time doing unfruitful activities (that is, time that does not lead to earning money). So while I agree that all these time management techniques are useful if you want to fill up all your time, I don’t think I want to fill up all my time. Those empty time slots are important. I will never get them back. I don’t need to fill them working. It has now been two days since I got my braces off and had to wear a retainer. How am I doing so far? The first day I was gagging like the dickens. Today, I don’t gag quite so much. I do a little bit after I put the retainer into my mouth but now it is better. I talk with a lisp when I say the letter ‘s’. For the first day I couldn’t speak without choking. Now I can talk, but not every word comes out straight. I have to relearn how to talk. I know it’s always there. With braces, I didn’t really feel them for the most part except when I moved my lips around them. With the retainer, I can feel it the entire time except for when I am totally distracted or focused on something else. So, overall there is some improvement. When I first got my braces, they told me that the total length of treatment time would be 24 months. I got mine off in 16.5 months and I was thinking “Hey, I’m doing pretty well!” But it turns out that I have to wear my retainer all the time except to eat for the first 6 months, so I count that as part of treatment and so including all of that, it’s 22.5 months which is pretty close to the original estimate. I put a calendar alert on my phone to let me know when it’s April 28, 2016 – no more retainer full time! I will only have to wear it at night. 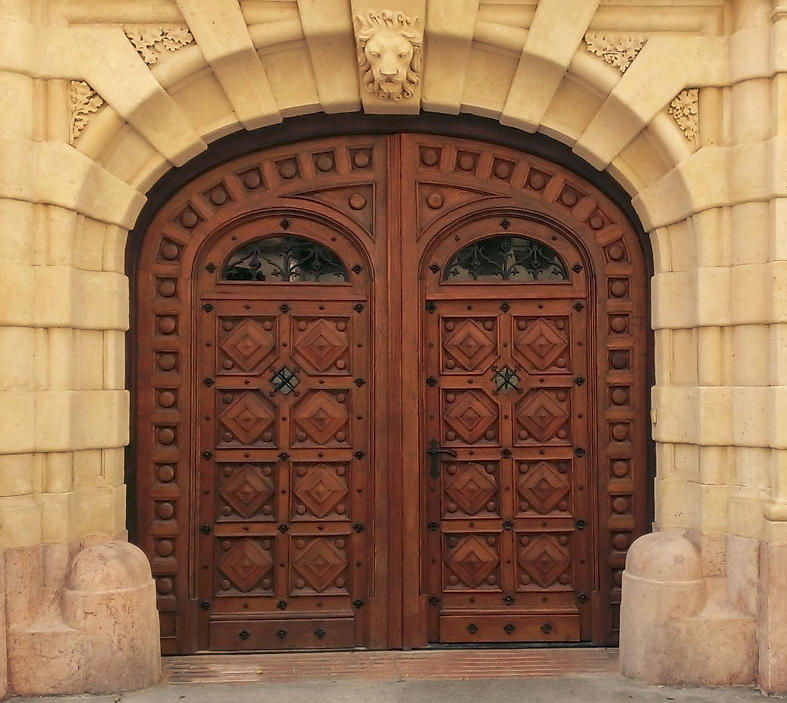 I want to get a new front door for our house. A fancy front door, one with a design on it Our current front door is a typical American door. It’s wooden with a couple of recesses in it. But here’s what I want the new door to look like. Isn’t that better? Got my braces off today. Instead of being overjoyed I am angry. Today was the day. The day I got my braces off. For several weeks I’ve been looking forward to this. As I walked to my car to head to my appointment, I sped up my pace and even started to run. Get these metal things off my teeth! I got down to the dental office and they took me in right away. This was it. I was finally getting my braces off. For those of you who don’t have them, it’s not quite freedom when you get them off. You still have to wear a retainer for the rest of your life. But I figured that would be an upgrade to braces. On my bottom teeth they affix a permanent retainer which is a metal wire than runs from canine to canine. This will make it a pain to floss my bottom front teeth, but at least not my back teeth. The process of getting them on was difficult as I feel like it took forever, and then getting all the glue on to bond it to the teeth and then removing the excess wasn’t pleasant. I was happy I wasn’t getting one put on the top ones, too. Then, I had the braces taken off my bottom teeth, and it hurt a bit. Then they came off my top teeth. Next, the dentist removed the cement bonding off my teeth. That hurt. A lot. My teeth have shifted and more of the root is exposed now, so blowing cold water, cold air, and whatever the whizzing sound thingie is caused some pain in a few of my teeth. But the cement came off. The last step was the top retainer. You’d think this is the easy part. But it’s not, it’s the part that makes me angry. They are less noticeable although more fragile but those are the ones I would have wanted. I never got to pick them. The above one is less prone to damage. However, I hate wearing it. Hate it. It makes me gag. The dentist had to make it smaller twice because I kept gagging on it so violently. And even then it still isn’t good. On the drive home, I started gagging again and had to pull it out quickly. I scratched the inside of my cheeks because I pulled it out so fast, and got a bunch of saliva all over my drool. I shook my head and reinserted it. But a couple of minutes later, I started gagging again. Again, I had to pull it out and again I got a bunch of my own slobber over me. When I got home, I had to pull it out again. And that’s what makes me angry. At the dentist, I said I would have preferred one of those clear ones because they just wrap around your teeth, but I was told they don’t like those ones (because why?). Yet I’m the one who has to wear it, and I have a strong gag reflex. 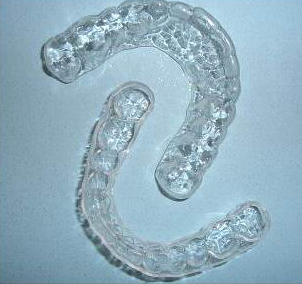 And this retainer makes me gag. And that’s why I am so angry. I know I have a strong gag reflex. I try to control it but I can’t (and I’ve tried a lot of tricks; I’m not as bad as I used to be). 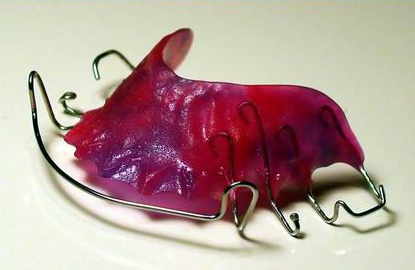 I’m angry because I was never given a choice and I may not be able to hack it, wearing this retainer, and if I don’t wear it my teeth will shift back. And then getting braces will all be for nothing! So that’s wear I am today, not a happy camper.